John Beltz guides foreign and domestic, public and private corporations and other business entities on a broad array of transactions, including cross-border transactions, mergers, acquisitions, divestitures, joint ventures, recapitalizations, reorganizations, public and private spin-offs and other restructurings, as well as advises their boards and senior executives on corporate governance matters. For foreign clients, he advises on legal issues that impact their U.S.-based operations and facilities in today's highly competitive business environment. 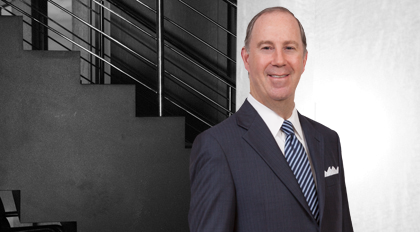 His practice includes particular emphasis on the structuring of joint ventures in limited liability companies and similar entities, and has involved domestic and international leveraged buyouts, real estate investments and venture and growth capital investments. His real estate clients engage in various types of real estate projects, including the acquisition, sale and exchange, development, construction and operation of medical office, office, retail, multi-family and condominium properties; office leasing and property management; and commercial and residential brokerage. Beltz also addresses client needs in areas of debt finance, including secured and unsecured commercial lending, mortgage banking, and equipment finance matters, and his practice includes the acquisition and sale of loan and lease portfolios and structured finance transactions involving commercial and residential mortgage loans, credit card receivables and trade receivables. He has represented issuers, underwriters, correspondent mortgage loan conduit originators and servicers in connection with securitization transactions. His experience with tax matters enables him to structure tax-efficient transactions for his clients, including the application and negotiation of state and municipal tax incentives for clients in North Carolina and Florida.